If your team needs greater efficiency, organization, or even just a bit of inspiration, sign up today for our Scrum Master certification classes in Fort Lauderdale, Florida. Scrum offers one of the most exciting, innovative approaches to project management today, and it works beautifully for teams and projects of all shapes and sizes. And as Scrum Master, you’ve got a prime position right in the middle of the action! If you’re thinking about getting your Scrum Master certification, this is a great time to get started. As Scrum Master, you are playing a pivotal role in your projects’ success. Your role will revolve around supporting, facilitating, protecting and coaching your team as they work toward a common goal. If the idea of “servant leadership” appeals to you, then the job of Scrum Master is right up your alley. Strong teams are led by strong Scrum Masters. Your commitment to the Scrum framework and all of its practices and principles is what will keep your team focused and successful. It doesn’t matter if your team has potential out the wazoo. If you aren’t a strong protector, coach and leader, your team will falter. Through our Scrum Master certification classes in Fort Lauderdale, Florida, you will learn how to become the leader that your team needs. Winnow Management offers over 75 years of combined experience in project management, IT and software development. We’ve worked with huge multi-national corporations like Cisco and Hilton, and we’ve played a role in some of the most successful, productive Scrum frameworks to date. Now we are bringing all of that expertise to bear as we instruct and train the up-and-coming leaders of today’s Scrum environment. 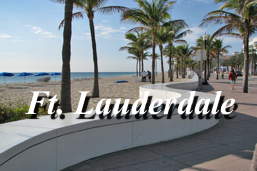 We’d love to see you at our upcoming Scrum Master certification classes in Fort Lauderdale, Florida. We’ve seen first-hand how tremendous the benefits of our training can be – both to a team as a whole, and to an individual career. To find out more about our upcoming events in Florida and across the country, stop by our events page or get in touch at info@winnowmanagement.com.